At NB Sales and Service, our customers always have questions about their air compressors. Q: Why is the air compressor overheating? A: One of the main reasons an air compressor overheats is that it’s low on lubricant. You should check your oil level and add more oil if needed. If that doesn’t lower its operating temperature, there could be a larger issue with the system, so it’s best to have your unit inspected for any blockages. Q: When should I change the filters? A: You can extend the use of your filters by cleaning them weekly. When your filters begin to tear or they become more difficult to clean, you’ll know it’s time to replace them. 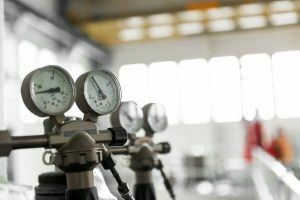 At the very least, you should change them out every six months, but you might want to do it more often if your air compressor gets a lot of service hours. Q: How often should I change my compressor oil? A: Your compressor oil will need to be changed periodically to ensure optimal performance. Most manufacturers will recommend a service schedule, such as changing it after every 1,000 service hours or every three months. If you’re unsure when your air compressor will require an oil change, check with a professional. Want to learn more? Contact NB Sales and Service today to get answers to any of your questions about air compressors. We have a knowledgeable staff ready to assist clients throughout the Greater Bakersfield area.